Tongue Box: ClimateRight A/C - Heater! I've been waiting to pull the trigger on the air conditioning unit for the teardrop, as ClimateRight was going to be releasing a model with heat in addition to A/C. I pre-ordered my CR-5000 ACH today, and it should arrive in late May! Perfect timing as I plan on ramping my build back up after a long winter. 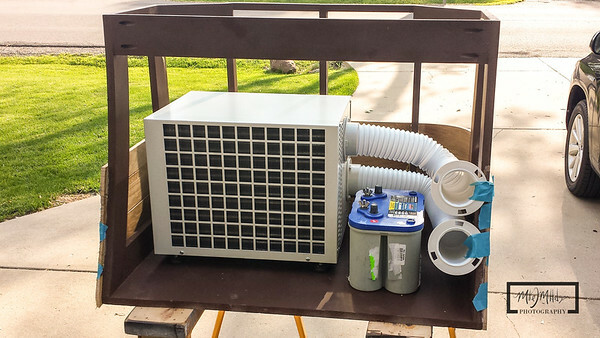 This combination heater / A/C unit will be housed in the tongue box in front of the teardrop. Cooling Capacity (Room Enclosure Size) - Up to 1200 Cu. Ft.
As you can see, there is plenty of room in the design of the tongue box to accommodate the ClimateRight. 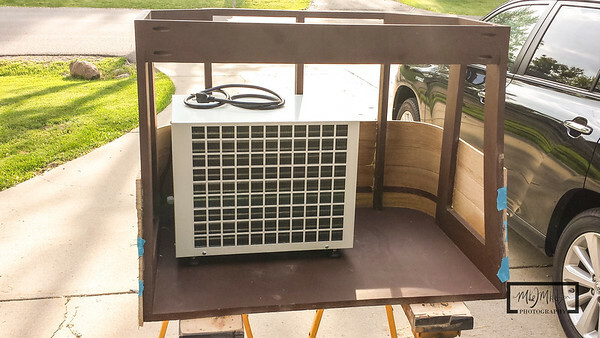 I plan on adding a removable shelf right above the top of the AC unit for additional storage. Here is the box staged with the AC unit, possible battery location, and hoses.